Consumers have a right to know how animals are being raised, but current federal laws are protecting factory farms while preventing activists from documenting the truth. Animal abuse is being supported by the corrupt connection between Big Ag and politicians like Donald Trump who receive millions of dollars from the agricultural industry. The federal cover-up of factory farm abuse needs to end. Remove repression efforts towards activists and give consumers the right to know how animals are being treated. 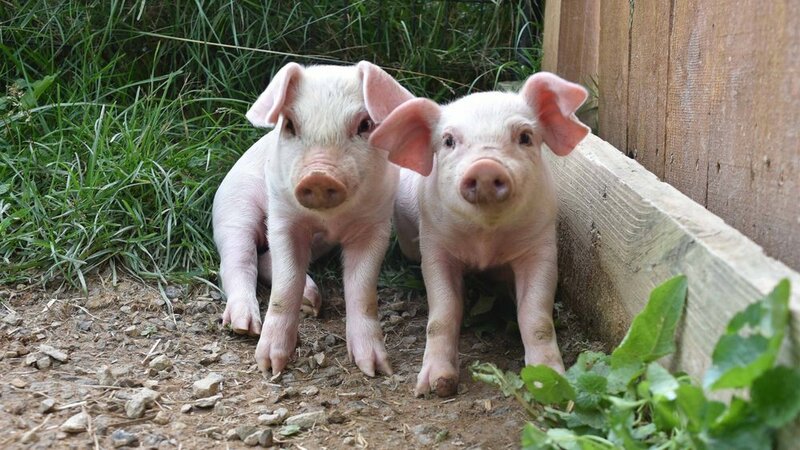 In 2007, Smithfield proudly proclaimed they were eliminating gestation crates and transitioning to “crate-free” farms by 2017 in a commitment to improved animal welfare. Around the same time, Big Ag and the US government passed a series of laws, including the Animal Enterprise Terrorism Act and numerous ag gag bills, designed to suppress and criminalize animal rights activism, making it illegal to even photograph agricultural facilities from public property. Large corporations made campaign contributions of millions of dollars to politicians like Donald Trump in order for their interests to be prioritized. Farms are using unprecedented legal measures to protect themselves from accountability and scrutiny but activists are willing to risk everything to expose the truth. Over the course of eight months, DxE infiltrated a Smithfield pig farm in North Carolina. Here is what we found. 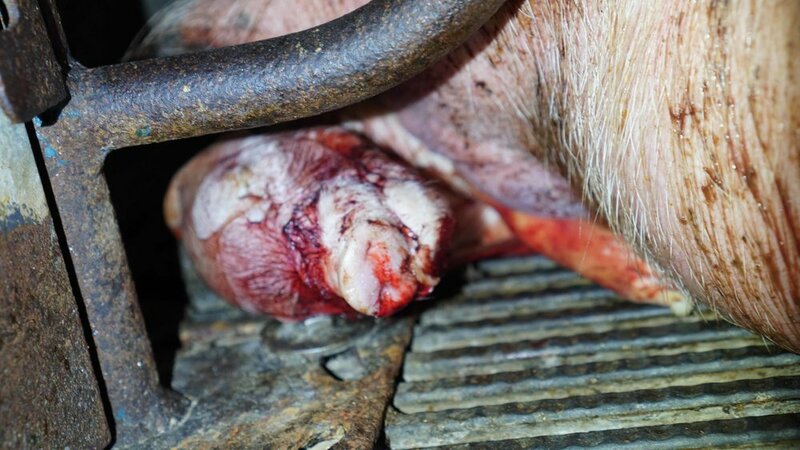 Pigs, covered in sores as large as grapefruits, languished in filthy conditions without treatment. Investigators found dead rotting piglets amongst living ones. 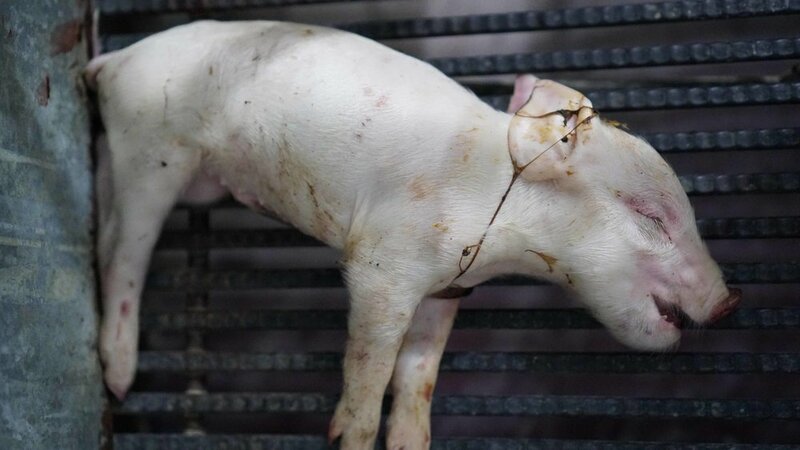 The majority of pregnant pigs continued to be confined in torturous gestation crates, where they are unable to even turn around. Pigs in North Carolina produce more than 15 million tons of feces a year, much of which is sprayed into the air and water. Local residents report exacerbations of asthma and a stench so severe their eyes burn and they avoid going outside. Amongst the thousands of distressed pigs, investigators found Rosie. She was suffering from a skin-eating bacteria that left her face covered with infected wounds. They could not leave her behind to die. Activists carried Rosie out of the farm and brought her to the vet where she received treatment for her wounds. She found a new home at a sanctuary. She loves belly rubs, laying in the sun, and searching for nuts and seeds in the mud. Rosie is one of the lucky ones. All animals deserve the comfort, freedom and safety that she has now. Despite their best efforts, the industry is failing at suppressing activism. Around the country and the world activists are challenging unjust laws and social norms. Ag gag laws have been declared unconstitutional in Idaho and Utah, many cities and countries are banning the production and sale of fur, and lawyers are fighting in court for nonhuman personhood. We are on the cusp of a revolution. Will you join? Any monthly donation makes you a subscribing member of DxE -- a grassroots network for nonviolent direct action for animals. You’ll receive an annual update on DxE’s progress building a movement for animals. A donation of $45 a month (the estimated cost to support one rescued animal) makes you a member of the DxE Open Rescue Network, which rescues animals from the most hellish places on earth. You’ll receive quarterly updates and special opportunities to meet rescued animals. If you are already a monthly donor and you want to change or cancel your monthly donation, please email donate@friendsofdxe.com. Please notify donate@friendsofdxe.com if a check is in the mail so that we can look out for it! Note that if you would like to request your one-time donation be used for a specific chapter/project, please email almira@directactioneverywhere.com (recurring donations are ineligible). Friends of DxE, a tax-exempt 501(c)(3) organization, is a California nonprofit public benefit corporation that provides grants for DxE's campaigns. The board and leadership of Friends of DxE is independent of each of the grassroots chapters that comprise DxE's worldwide network. Are you a member of the press? Visit our press kit, including photos, video, and detailed information here.